In response to the kidnapping of the three settlers south of Hebron, the Israeli authorities have declared today that they will not issue permits for around 5000 Palestinian workers to work inside Israel. 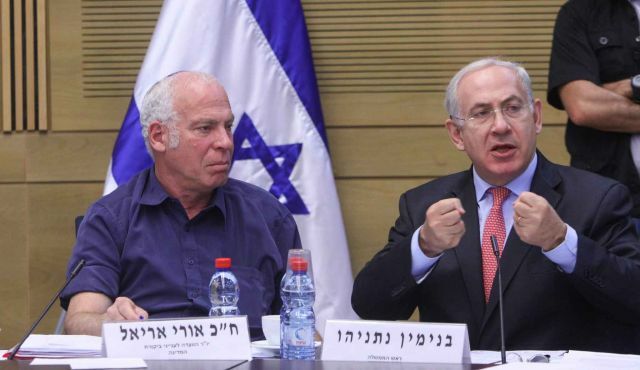 The Israel National Radio reported that the Minister of Housing and Construction, Uri Ariel, said that the authorities will not approve the decision to give 5000 work permits to Palestinians, a decision that was supposed to be approved in the Israeli government’s council meeting today. He added that in moments like this, when Israel is facing such a difficult time and praying for the safety of the three boys that were kidnapped, it is not appropriate to take decisions that will help the Palestinians. On the contrary, they should be aware that the situation will become more difficult in all aspects of their lives. The Israeli authorities had announced on Friday that they were going to approve 5000 permits for Palestinian workers in the fields of construction, agriculture and business. At the moment, the Israeli authorities are facing lack of workforce in Israel, particularly in the field of construction. Even more so after the Chinese government rejected the Israeli government’s request for importation of Chinese workers. The crème de la crème of the Israeli intelligence community as well as the best technology money could buy are being employed in a race against time to find the kidnapped settlers, but so far to no avail. The Israeli army has also rounded up as many as 80 Palestinian community leaders associated with the "Islamic current," especially Hamas. The detainees include university professors, lawmakers and religious leaders. More arrests are expected in the next few days. Indiscriminate punishment has always been Israel's most favored means to react to actions carried out by resistance elements. Israeli planners think rather wrongly that tormenting the Palestinian masses would create deterrence against resistance activities or at least make the Palestinian masses resent the resistance. However, the experience of several decades of resistance and repression suggests that the resistance is always exonerated in the sight of the people. To conceal their obvious security and intelligence failure, the Israeli government has blamed Palestinian Authority (PA) leader Mahmoud Abbas for the incident. Abbas, who expressed absolute willingness to cooperate with the Israeli army to find the kidnapped individuals, rejected Israeli charges. He reminded them that the incident occurred in area-C, which falls under full Israeli security control. Muhammad is a college student, a sophomore, at the University of Hebron. He says that while the kidnapping incident has not driven him into a state of ecstasy, he perfectly understood the legitimacy of the kidnapping. "The Israelis treat us like animals. They arrest and incarcerate our youngsters and leaders for many years without charge or trial. This is unacceptable; people anywhere under the sun are entitled to justice and fair treatment." Hind, a senior majoring in sociology, agrees. "I would like to address the conscience of each Israeli: Wouldn't you be driven over the edge if a foreign country or your own country kept you languishing in jail for ten or 12 years without charge or trial, even without you knowing why you are being held." A few weeks ago, a college lecturer in Hebron who had served 7 years in so-called "administrative detention" intimated to this writer that he once appealed to an Israeli judge to let him know why he was being in jail. "I told him I needed to know what violation of the law I did commit so that I wouldn't do it again. But the judge looked at me in a cynical manner and said: Ahmed, I am not going to give you the privilege of knowing why you are here." I don't know how the current kidnapping incident will end up. But the prospects already look ominous and bleak. The Israelis are thoroughly intoxicated by their arrogance of power. They are unlikely to resort to reason and logic and start viewing Palestinians as equal human beings. On the other hand, this is a matter of life or death for hundreds of Palestinian captives unfairly kept in Israeli jails. Moreover, the Palestinians have nothing to lose. Our people have been through it all, from creation to destruction. An old woman from the town of Dura reacted to Israeli threats following the incident, saying "whatever falls from the sky will fall on earth. We won't be intimidated by their threats and their terror." PA chairman Mahmoud Abbas condemned the abduction of the three Israeli settlers, assuring his forces' keenness to maintain stability and security in the area. In a phone conversation, Abbas informed Israeli premier Benjamin Netanyahu on Monday that his security forces are working to prevent the situation from worsening. In his turn, Netanyahu called on Abbas to help with efforts to rescue the abducted settlers and arrest their “kidnappers”. 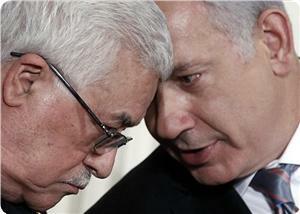 The kidnappers came from and returned to territory under Palestinian Authority control, Netanyahu told Abbas. “This incident reveals the nature of the terrorism we are fighting,” Netanyahu said. Netanyahu said that the Hamas-Fatah pact is not only bad for Israelis, but it is also bad for the Palestinians and the entire region. Israel’s deputy foreign minister Tzachi Hanegbi said Monday that security coordination between PA and Israeli forces is still ongoing, claiming that Abbas realizes that reconciliation agreement with Hamas movement was a wrong decision. He pointed to the important role of Israeli diplomatic missions around the world to prove the link between Palestinian reconciliation agreement and the disappearance of the three Israeli settlers. For his part, MK Omer Bar-Lev (Labor) said that the reconciliation between Fatah and Hamas is irrelevant to this event. He stressed the need to maintain security coordination and transfer of information from the Palestinian security agencies. Meanwhile, an Israeli military surveillance zeppelin was launched over Halhoul Bridge in al-Khalil as part of search operation for the three missing settlers. Eyewitnesses told PIC reporter that Israeli soldiers launched the zeppelin equipped with surveillance cameras and spy devices near a military tower established on Halhoul Bridge northern al-Khalil. Five Israeli Zeppelin airships were launched during the same period over different parts of the city, in addition to a number of reconnaissance helicopters, the sources added. The Israeli occupation forces had earlier closed the entrances to the province in light of the continued raid and arrest campaign throughout the province. 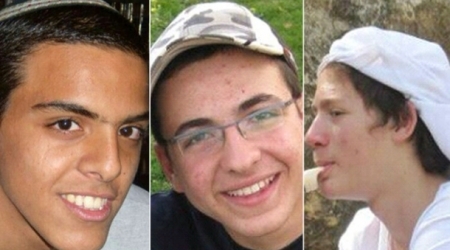 Israeli military sources declared on Friday the disappearance of three conscripts near al-Khalil on Thursday night. 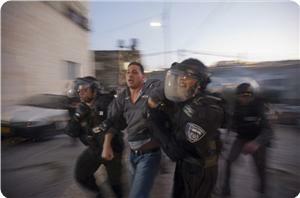 Large-scale Israeli raid and arrest campaigns were launched throughout West Bank following the incident. The Hebrew newspaper of Haaretz reported that an Israeli public opinion poll on settlements in the West Bank, conducted annually for the past six years, shows a trend of decreasing support among the Israeli public for the settlers. ”The poll also reveals the public is less opposed to territorial concessions and more concerned of international boycotts, and conditions its support for settlers on their combating Jewish lawbreakers in the territories, including so-called Hilltop youth,” The newspaper added. The poll, conducted by Prof. Yitzhak Katz, was ordered by the Samaria and Jordan Valley Research and Development Center, and presented at Ariel University. Profs. Miryam Billig and Udi Lebel, who conducted the research, state that the poll shows a drastic decline in public support for settlers since 2009. The 550 individuals over the age of 18 who participated in the poll do not reside in the West Bank, and reflect a cross-section of Israeli society. The poll revealed that 59 percent of those questioned believed the settlements harm Israel’s relationship with the United States government. Half of those polled agreed with claims that the budget for settlements come at the expense of education and social welfare, and 40 percent believe that Jewish settlements in Judea and Samaria are a waste of the country’s money. 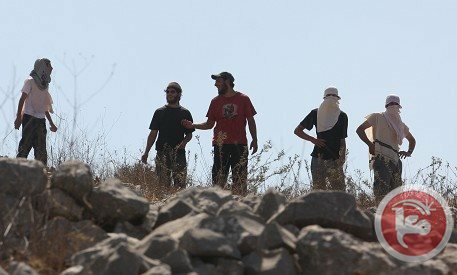 Seventy-one percent stated that settlers’ clashes with the Israeli forces prevent them from identifying with the settlements, and 54 percent claimed the hilltop youth prevent them from identifying with the settlers as a whole. 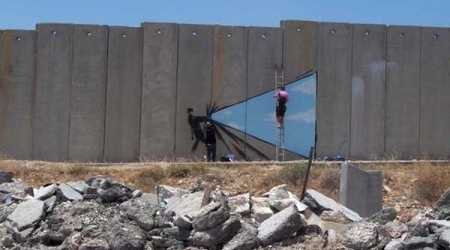 The polls also revealed that a small minority supports perpetuating the status quo (12 percent), while 31 percent would support partial or full annexation of the West Bank, though the majority of the Israeli public (51 percent) would support partial or full disengagement as part of an agreement with the Palestinians. At the same time, public support for a peace agreement hinges upon a complete cessation of terror (84 percent) and a Palestinian declaration to end the conflict (82 percent), according to the poll. Amos Harel, the military correspondent and defense analyst for Haaretz, claimed that the missing of three Israeli settlers is an abduction performed at a high level of planning and strict compartmentalization. " The operation reflects a level of planning and performance that is exceptional compared to previous abduction attempts . The attack is reminiscent of the carefully planned abduction of two Israeli soldiers by Hezbollah on Israel’s northern border in 2006," he added. He believed that "Kidnappers " received a gift they hadn’t expected , nearly six hours of total quiet before Israeli security forces launched a search operation. There have been serious attacks in that region that were never solved, ,mainly, last October’s killing of Givati soldier Gal “Gavriel” Kobi and the killing of Israel Police Chief Supt. Baruch Mizrahi in April, on Passover eve, he noted. Harel believed that the two incidents show similar characteristics , " the doers prepared an escape route in advance and immediately went underground." No Palestinian faction claimed the responsibility of the incident , noting it may be a merely criminal event. 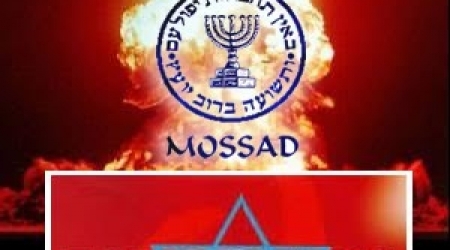 Emir Bouchbot, correspondent for Walla site quoted a senior officer in Israeli Army as saying " the scenario that the army feared is that the kidnapping cell could hide in a secret bunker announcing the state of "temporary death" , giving the political leaders the chance to sign a swap deal with Israel." He claimed that the military wing of Hamas carried out the operation apart from the political level. But the problem is to keep the abductees and running the negotiations in the same time. Yoav Limor, the military analyst for Israel Hayoum paper, ruled out the possibility of attacking Hamas leaders in Gaza at this time, saying " it would set off the area in arm conflict and Hamas rockets will land in central Israel." In the last two days, Israel detained 150 Palestinians in the West Bank searching for three Israeli settlers believed to be missing into a second West Bank city, touching off street confrontations in which its forces killed a Palestinian. A Palestinian youth was wounded on Monday at dawn with Israeli bullets in clashes broke out in the West Bank city of Jenin. Local sources reported that a large number of Israeli troops stormed Jenin refugee camp at dawn and arrested Ibrahim Hawajir, 52, after ransacking his house. 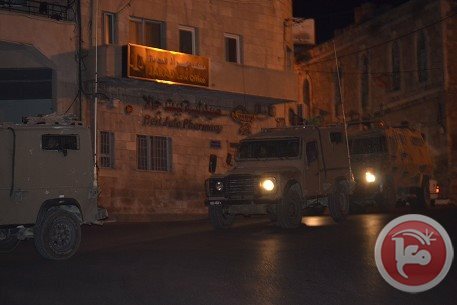 Violent clashes erupted between Palestinians and Israeli forces that stormed the eastern neighborhood of the city, Sameh al-Qet,20, was wounded in the foot. 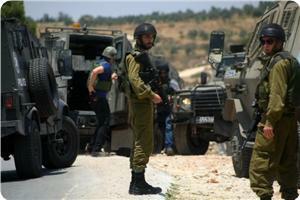 In Mitlon town, Israeli troops detained Rif’at N’erat,17. A Hamas official on Monday warned of "consequences" if Israel expelled West Bank-based leaders of the Islamist movement to the Gaza Strip, as Israeli forces continued an extensive search for three missing youths. "The scenario of expulsion has always failed in breaking the will and determination of Palestinians," Mushir al-Musri, a member of the Palestinian Legislative Council, told Ma'an. "Detaining Aziz Dweik, the speaker of the Palestinian parliament, along with other parliamentarians, is stupid and will increase the weight of the coming consequences," al-Musri said. He called on the Palestinian leadership to work to continue to advance West Bank-Gaza reconciliation even in the face of Israeli aggression. Reconciliation "is the best answer to the Israeli mentality," al-Musri said. Earlier, the Israeli newspaper Haaretz reported that Israeli officials were considering expelling Hamas leaders in the West Bank to Gaza, amid a search for three missing teenagers. Israeli forces have deployed heavily throughout the West Bank amid a search for three youths, aged 16-19, who went missing late Thursday from an area near the Gush Etzion settlement. 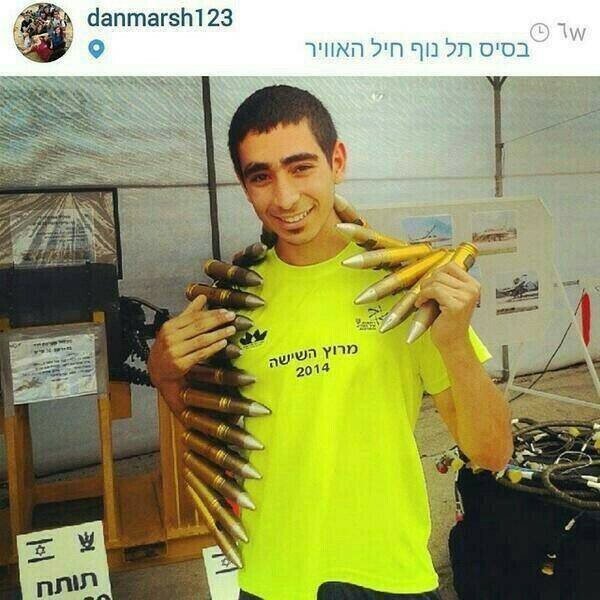 Israel blames Hamas for kidnapping the youths, though the Islamist movement denies involvement. Soldiers have arrested over 150 Palestinians, killed one, and injured several others during the campaign to the find the missing teens. Israel is to take some "punitive steps" against Palestinians in response to the missing of three settlers, Israeli Channel 2 reporter revealed Sunday. "We are examining the possibility to expel several senior Hamas members, including those in administrative detention and hunger striking," Israeli government official said. The political affairs analyst at the channel Audi Siegel said that these procedures included deportation of Hamas activists. The Israeli government is considering several steps to do after approving them by the judicial system in Israel. The steps include the deportation of Hamas activists in addition to other punishments, he added. These measures came to increase pressure on the Palestinian organizations, the leadership of Hamas and the Palestinian President Mahmoud Abbas. Israeli politicians believe that media pressure on Abbas will push him to move, Siegel pointed out. 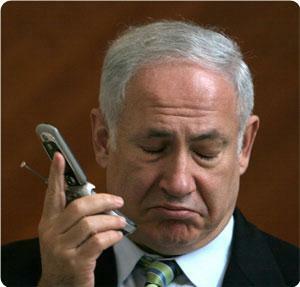 The reporter noted that Netanyahu will hold another session of Cabinet on Monday to follow the hard situation of crisis. An Israeli security source said Hamas would be keen not to issue a statement about its situation toward the missing settlers at the moment. Israel's security want to deliver a message to Hamas that the detention of the abducted is a burden rather than an achievement. Three Israeli settlers were missing three days ago in Hebron; Israeli occupation claimed they were kidnapped. However, no Palestinian faction claimed its responsibility. Israeli forces early Monday raided the offices of two Palestinian organizations in the northern West Bank, security sources said. Palestinian security forces told Ma'an that Israeli soldiers broke into the office of the Palestinian National Initiative political party and a Hamas-affiliated charitable organization, the Muslim Girl Society. Soldiers ransacked the offices, spending hours searching the premises, before confiscating a number of computers, the sources said. Mustafa Barghouti, head of the Palestinian National Initiative, confirmed the raid on his party's office. He described the Israeli army's actions across the West Bank throughout their search for Israeli teenagers as "collective punishment." Israeli forces have deployed heavily throughout the West Bank amid a search for three youths who went missing late Thursday from an area near the Gush Etzion settlement. Israeli Prime Minister Benjamin Netanyahu on Monday telephoned President Mahmoud Abbas and said he expected him to help ensure the safe return of three kidnapped teenagers, a statement said. Abbas' office also issued a statement condemning both the kidnapping of the three youths and the results of a massive Israeli crackdown to find the perpetrators. "I expect you to help in the return of the kidnapped youths and the capture of the kidnappers," Netanyahu told the Palestinian leader. It was their first telephone conversation in nearly a year, and came as Israeli forces conducted the biggest arrest operation in years, focusing predominantly on Hamas movement, which Netanyahu has accused of kidnapping the three youths in the southern West Bank. "The Hamas kidnappers went out from territory controlled by the Palestinian Authority and returned to territory controlled by the Palestinian Authority," Netanyahu told him. Adnan Dmeiri, spokesman for the Palestinian security services, said Friday that the PA was not responsible for the safety of settlers and had no way to prevent the possible kidnapping of the teenagers. Dmeiri said the PA had no information about the missing settlers, and noted that Gush Etzion, the settlement from which the teenagers are believed to have disappeared, "is under Israeli security control." "And the PA is not responsible for the security of settlers," he added. Abbas' office did not immediately confirm the telephone conversation, but issued a statement in which he condemned the kidnapping and also hit out at the massive Israeli crackdown aimed at finding those responsible. "The Palestinian presidency... condemns the series of events that happened last week, beginning with the kidnapping of three Israeli youths," it said, but also denouncing a massive wave of Israeli arrests during which a young Palestinian was killed near Ramallah overnight. "The presidency reaffirms the importance of neither side resorting to violence," it said, also hailing the efforts of the Palestinian security forces in "keeping the peace" and preventing the territories from being "dragged into chaos and instability". On Monday, Israeli soldiers killed 20-year-old Ahmad Sabarin during an arrest raid in Ramallah's al-Jalazun refugee camp. The raids are part of a wide-ranging campaign to locate the three Israeli youths, identified as Gilad Shaer, 16, from Talmon settlement near Ramallah, Naftali Frenkel, 16, from Nof Ayalon, and Eyal Ifrach, 19, from Elad, both in central Israel. Israeli settlers attacked Palestinian vehicles in the Nablus area late Sunday, causing damage to over 30 cars, a Palestinian official said. Large groups of settlers attacked vehicles along the main Ramallah-Nablus highway, hurling stones at cars near the villages of Yatma, Kafr Laqif, Turmus Ayya and Jinsafut, Ghassan Daghlas told Ma'an. A day earlier, settlers gathered on main roads near Bethlehem and Hebron to protest against the recent disappearance of three Israeli settlers, hurling rocks at Palestinian vehicles. The demonstrators also chanted anti-Arab slogans. Also Saturday, three Palestinians were injured as settlers hurled stones at vehicles traveling on main roads across the northern and central West Bank. More than 500,000 Israelis live in the settlements, which are built on confiscated Palestinian lands or state lands. Israeli forces continued a wide-ranging detention campaign in the West Bank overnight Sunday, detaining over 40 Hamas members, including several lawmakers. 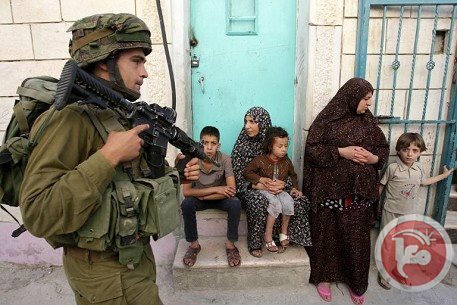 Eighteen Palestinian citizens, including a 14-year-old minor, were rounded up by the Israeli Occupation Forces (IOF) Sunday night following overnight invasions into al-Khalil. Adnan Ismail Arzikat, Abdul Rahman Issa, Ezzedine Abu Snina, Jamil Abu Eisha, Maher Moussa al-Shyoukhi, and Muhammad Maher Badr, among many other Palestinian civilians, were all targeted by the operation. 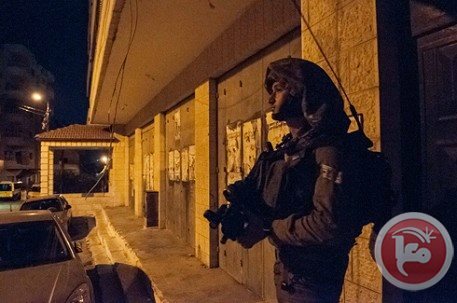 The IOF turned Palestinians’ homes into military barracks following abrupt break-ins into Tafouh town, west of al-Khalil, and Knar neighborhood, east of Dura town. A Palestinian young man was left wounded while another was abducted as the IOF cordoned off homes in al-Khalil. A state of anxiety has overwhelmed the natives, including women and children, as the heavily-armed Israeli patrols blew up the entry gate of a Palestinian home in Deir Baha and ordered a native family to surrender over the loudspeakers, local sources reported. Akram Qawasmi sustained shrapnel injuries as a spate of heavy and random gunshots was discharged by the Israeli soldiers. Akram, along with Nour Abdul Fatah al-Qawasmi, 21, were both taken into custody, the same sources added. An unprecedented upsurge in overnight Israeli break-ins has been documented in al-Khalil, where the Israeli soldiers raked through Palestinian homes, blocked the main streets with sand barriers, and shut all of the entry gates into the city with cement cubes. Unjustified acts of violence have also been going on round-the-clock in al-Khalil. The IOF forays culminated in the heavy beating of Palestinian 14-year-old child Madeleine Imad Abu Shamsiya as a horde of fanatic Israeli settlers attacked Palestinian native families in al-Khalil. Both Madeleine and her father were abducted by the Israeli soldiers and dragged to an interrogation center in the Kiryat Arba settlement. According to Muhammad Awad, coordinator of the popular committee in Beit Ummar village to the north of al-Khalil, 6 armed settlers assailed Palestinian farmers, including women, in Wadi Safa near the Etzion settlement, to the north, on Sunday evening. A horde of fanatic Israeli settlers, led by the extremist Tommy Nisani, broke into the holy al-Aqsa Mosque on Sunday, under the protection of police forces. Other Jewish extremists partook in the desecration break-ins, including Jacob Adev, and Ofer Livni, along with the aforementioned Nisani, all of whom involved in Judaization conspiracies targeting al-Aqsa Mosque. 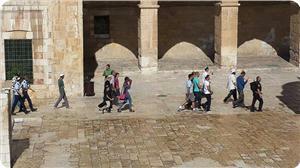 The intruding extremists fled al-Aqsa yards as the Muslim congregation and students gathered in its plazas. A set of arbitrary security measures had been issued since early morning by the Israeli patrols stationing around al-Aqsa gates so as to crack down on the Palestinian young summer campers and non-violent Muslim worshippers. Meanwhile, reconstruction chores have been conducted by crews of the Islamic Awqaf (Endowment) as a get-ready-step to mark forthcoming holy Ramadan, in the course of which Muslim masses gather in their holy al-Aqsa Mosque to perform religious prayers.